Darmstadt need to record a club record third consecutive Bundesliga win if they are to prolong their top-flight existence when Freiburg, who are already safe, visit on Saturday (kick-off 15:30CEST/13:30GMT). Click here to get your Official Fantasy Bundesliga team in shape for Matchday 31! The Lilies look set to name an unchanged side for the third game in a row following back-to-back victories. 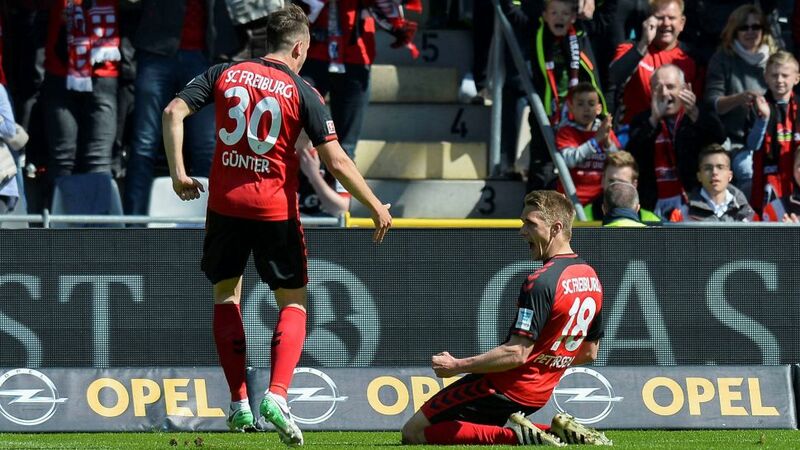 Similarly, Freiburg are likely to name the same starting XI that beat Leverkusen last time out. They also have Philipp, Schuster and Kübler back in training to provide further alternatives. Click here to download the Official Bundesliga App for free! Darmstadt must win for a third successive game, which would be a first for the club in the Bundesliga, to stave off relegation once more.Freiburg's Matchday 30 win over Leverkusen ensured the club, promoted last summer, will be in the top flight again next season.Darmstadt have won five of their 15 home games this season, the same tally as Leverkusen and Wolfsburg.Pascal Stenzel's Matchday 30 goal was the tenth from a Freiburg substitute this season. Eight of those strikes have come from Nils Petersen, who came off the bench to score the only goal of the game from the spot when the two sides met earlier in the season. Head to the Match Centre for more on this fixture. Official info and news from the Bundesliga - every week in your inbox.